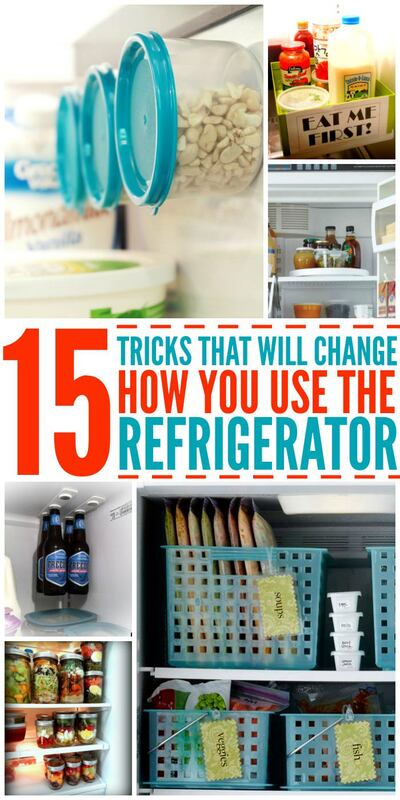 Your refrigerator is probably the most useful thing in the kitchen and YOU WON’t BELIEVE– after learning these tricks it’ll become more useful! Kitchen hacks make life so much easier, don’t they? And what do you use most in your kitchen? Your refrigerator, of course. Organizing your fridge goes a long way in saving time and money, but we’ve found even more fridge hacks that will totally change the way you use your refrigerator. Kids using more cups than you can keep up with? 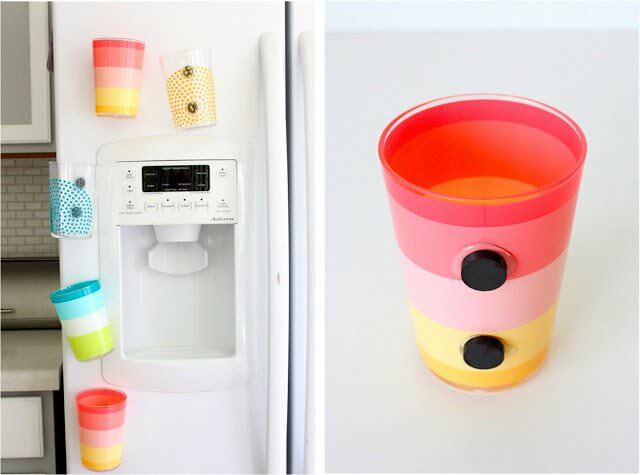 Try this trick: fridge magnet cups! They can put them on the fridge between uses so they always know where their cups are. 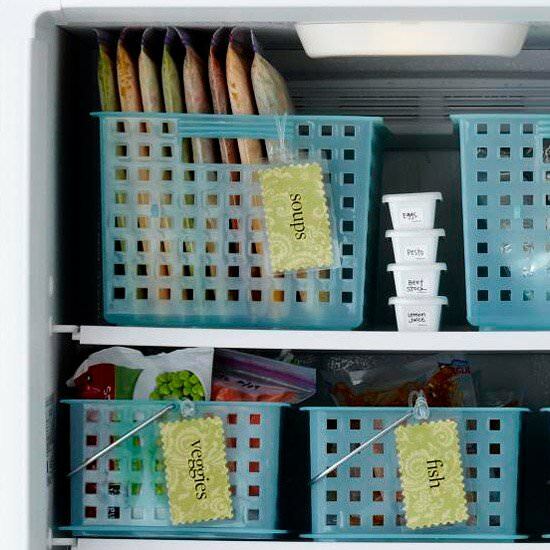 See what’s in your freezer at a glance by using bins to keep things contained. Why did I never think of this?